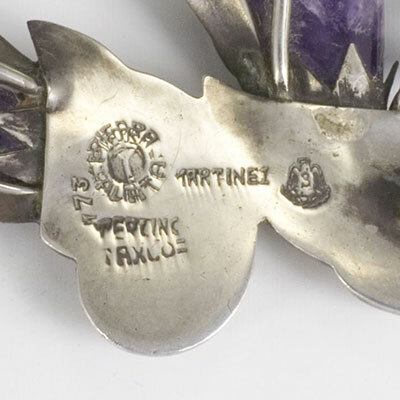 Condition: excellent condition for its age; pin and clasp in good working order; nice patina. Felipe Martinez opened Piedra y Plata in 1950 and only worked for himself for a few years. You don't often see his pieces. Prior to opening his shop, he was a stone carver. 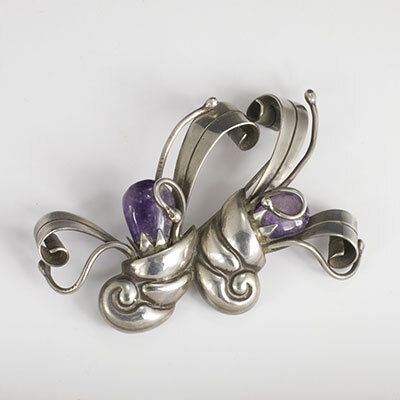 His carving ability allowed him to design jewelry incorporating the stones and silver as a total vision. 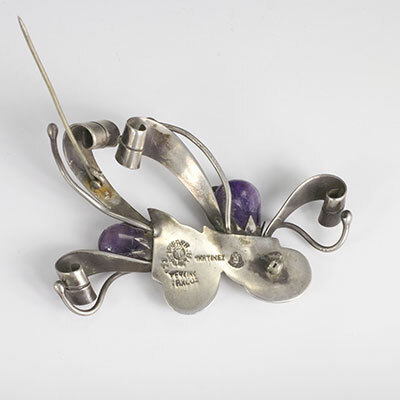 This unusual pin design is of 2 joined cornucopias with amethysts at the openings of the horns and is very typical of his virtuosity.